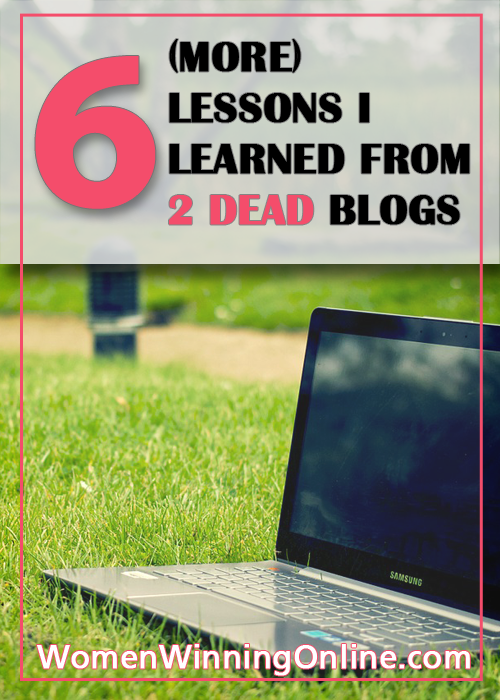 In part one of this post I shared five things I learned from two dead blogs. I shared with you my struggles and lessons I learned from having two very different blogs. In this post I would like to share with you six more ideas that I learned from these two blogs. There is a common myth out there that blogging is easy. I think this is because looking at it from the outside is that it looks easy! Sit down on your comfy couch, write a few words and boom you are making thousands of dollars a month blogging. If only it were that easy right?! Blogging is hard work day in and day out just like any other job or business. There are deadlines to meet, people to network with, issues that come up and plans that need to be made. Just like any other business there is always something to do when you are a blogger. You always have to learn how to improve your blog and your craft while growing your blog. If you want to start a blog please know that while it is a blast being able to write and build a community it is also a lot of work! To create a community around your blog you will need to have a plan, an editorial calendar and work at it. It doesn’t happen overnight but if you do work at it I promise you your hard work will pay off. If you want to build a community with your blog and earn an income you must be consistent with your posts. For people to connect with you and your blog they need to know that they can count on you. I am not saying you have to post every single day, but have consistency when you post. For example you may decide to début new posts every Monday and Thursday. That’s a great schedule but make sure it is one you can stick to. Your readers will start to count on your content schedule and they will connect with you because of it. 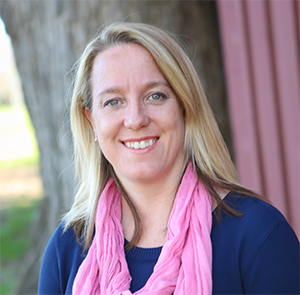 Something I learned in blog two is that it is okay to change up your posting schedule too. When I started that blog I committed to writing every single day without fail for three months. At the end of month one I was burnt out and worse my writing was suffering. I was writing mediocre posts and I wasn’t okay with that. So I took a look at my numbers to figure out when I was getting the most eyes on my blog. I realized that Mondays and Thursdays were my big engagement days. When I focused on writing two awesome posts twice a week my pageviews and my followers went through the roof! The consistency paid off and I was able to grow the blog working fewer hours writing. I was able to focus on putting good, quality writing out there. Like I mentioned in my second blog I learned, really learned, the importance of writing well. When I was posting every single day I found myself doing it to just do it and my writing suffered. I wasn’t producing quality content and I realized that was insulting to my readers. To improve my writing I did research on how to become a better writer. I discovered three steps that immediately improved the quality of my writing. The first step was to write without editing. I write and I write until all my thoughts are out on my screen. I don’t edit my spelling errors and I don’t fix sentence structure. This is so hard for my Type A personality but it works. Freely writing allows me to get my thoughts out there without filtering them. In my next step I run my writing through two websites to look for spelling and grammatical errors. The first one is Hemmingway App and the second one is PolishMyWriting. Between these two sites I can catch the majority of my mistakes. Finally in my last step I read my post out loud. Notice here I said out loud and not to myself. When I read out loud to myself I catch the final errors that only a human can catch. Taking the time to focus on those three steps has improved my writing and let me tell you that matters. If you create a blog post that has a lot of spelling mistakes or grammatical errors your readers will notice. They will be turned off by it and you will lose followers. Take the time in the beginning to learn how to write well. That will take you from being an amateur blogger to a professional one. The beginning of blogging is a lot of fun. You are excited to share your ideas. You are excited to help people. You are excited to connect with people. You write your best posts and your blog looks good. Then all you hear is crickets. No one is reading your posts. No one is sharing them on social media. There definitely isn’t anything viral happening on your blog. You get frustrated and depressed. You think what is going on here? I had the same issue with my second blog. I was writing all this great stuff and nothing was happening. I had 11 email subscribers at the end of my first month and at the end of my second month I had 24 more subscribers. I had no following on social media. I was beyond frustrated. So I could either give up or I could figure out what was going on. I chose the latter. I realized that “if you build it they will come” works for a movie but it doesn’t work for a blog. If you want people to come to your blog you have to be out there promoting it. You have to be out there connecting with people. You have to build it but you also have to promote it. Expect crickets at first but keep writing well and promoting your blog. That activity will breed results and you will build a community and a loyal following. One of my favorite quotes comes from author Jon Acuff “Don’t compare your beginning to someone else’s middle.” I am so guilty of this! I look at other bloggers that are more successful than me and I have to talk myself down off the ledge. I remind myself that where I am at today as a newbie so were they when they started. Rome wasn’t built overnight and neither was their blog. And my blog won’t be either. We all have different stories and different reasons why we are where we are today. Make an intentional choice to not only own your beginning but to enjoy it too. With hard work and determination your blog can rise to the top too. But it won’t happen overnight and really do you want it to? Half the fun is the journey of getting there. When you start comparing yourself to other bloggers that are farther ahead than you do me a favor. Go back and read their first five posts. Doing this will make you see how much better they have become and that the same thing will happen to you. Then instead of comparing yourself to them make it an opportunity to learn from them. If I have learned anything about my blogging journey over the last five years is that it is okay to start over. If you truly love blogging stick with it until you find the blog that is your passion. If you find yourself loving writing but hating your subject matter then start over. Life is too short to spend all your time writing about a subject you don’t love. I have experienced this first hand. I realized that I would rather start over with a subject I love than continue with a subject I don’t like. Starting over is especially hard if you have a blog that is popular. My second blog was wildly popular among real estate agents. In just 10 months I rose to fame within my industry. When I got to the top I realized how sad I felt being there. I looked around and knew that I was just over real estate. When that happened I felt like a part of me had died. I mourned the loss and decided that it was time to learn from this. What I learned was that it is okay to start over and I owed it to myself to write about something that I love. If you find yourself in this boat I would encourage you to take a look at what you are doing. Starting over is scary but wasn’t it scary to start it in the first place? If you accomplished starting in the first place you can do it again. Imagine how successful you will be and how much happier when you are writing about something you love. Blogging is an incredible opportunity to connect with people and build a community around a shared interest. It takes a lot of work and perseverance to create a successful blog. It is important to be consistent with your message and find a message that you love to talk about. The world needs your unique voice so don’t be afraid to share it! Hi Jen, all of these tips, plus those you provided in the post prior to this one are so helpful. I’m a beginner blogger and some days it feels so daunting. I haven’t been able to write as much as I originally planned (because I am tending to clients) so decided to drop even the weekly post. And I’m good with that — the consistency piece is really key so that’s what I’m trying to live up to. Thanks for writing this great post! Thank you so much Lisa! I think it easy to get overwhelmed with blogging and even more so owning a business. There is ALWAYS something to do. I find if I can at least commit to one day a week blogging and keep it consistent people will show up and share my blog. I think what’s hard is we see these super star bloggers and think we need to do what they are doing. But what we need to remember is that they have whole teams built around them. They were once like us and struggling to do it all. We will get there! We just need to keep pushing along! Thank you so much for the comment Lisa! Great post! I especially appreciate the tip about freewriting and editing later. I have SUCH a tough time with that one. I tend to get really wordy and ramble when I’m passionate about a topic. Since I know that, I want to fight against it while writing and that stops the creativity altogether. I’m right there with you about loving Hemmingway! I’ve also started using Grammarly since they have a Chrome add-on. Love it! Yes I know how you feel! My Type A self wants to fix every misspelled word and grammar as I go. It is so freeing when I don’t do that I think. Thanks for the tip about Grammarly! I will add that to my list. Thank you for the compliment Joce! I am really glad my two posts on this subject helped you! I have learned so much from both blogs. Best of luck to both of you on your new blog!